In this jam-packed episode, the boys of Blurry Photos conduct their first interview, announce the winner of the 2013 Miss Cryptid Contest, and announce the winner of the Miss Cryptid Sweepstakes! In an exciting turn of events, David and Dave let someone else do the talking as they welcome Game Designer/Writer Kenneth Hite. 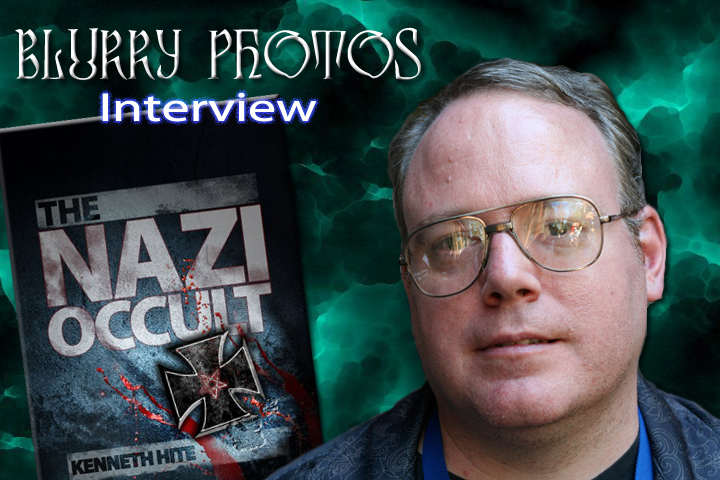 An expert in all things cool, Kenneth joins to talk about his upcoming book The Nazi Occult. Besides the obvious atrocities, what else were the Nazis up to? How did Atlantis, Thor’s hammer, electrical beings, and the holy grail fit into the grand scheme of the Third Reich? So much happened before the Nazi party even came to power that history sometimes glosses over contributing factors, but not Kenneth; the devil is in the details, as it were. From Madam Blavatsky to Heinrich Himmler, the occult side of Nazi Germany is discussed at length, and that’s just scratching the surface of this fascinating subject. And the long-awaited champion of cryptids for 2013 is crowned by you, the listener, as well as a winner for the sweepstakes. Blurry Photos is bursting at the podcast seams for this one!